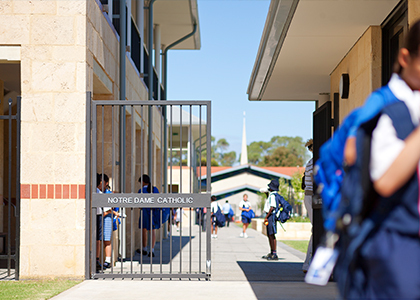 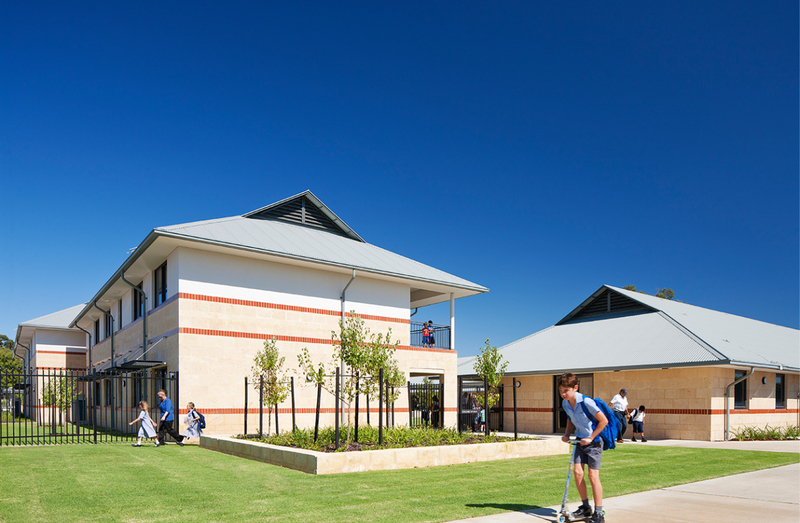 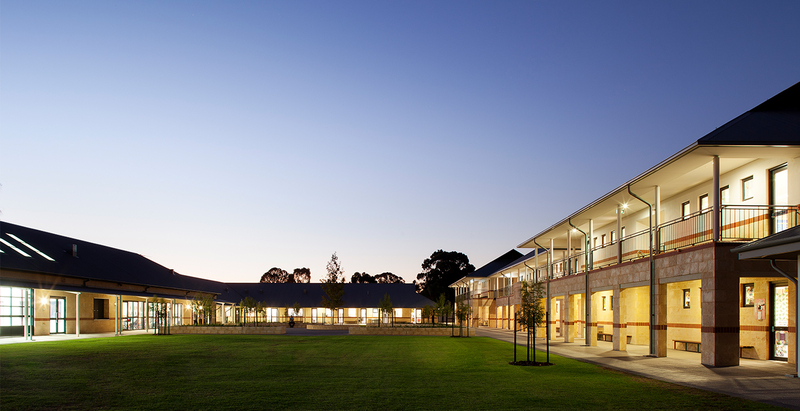 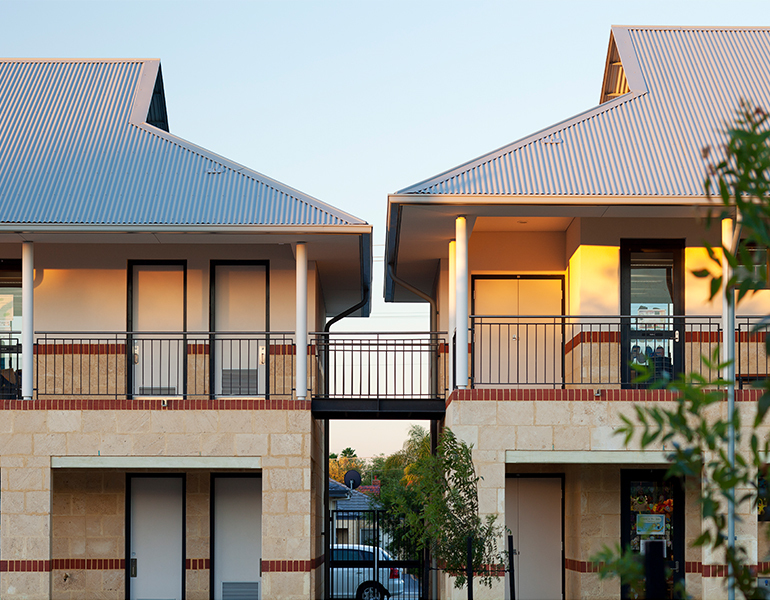 Parry and Rosenthal Architects were engaged in 2009 to develop the master plan with staged implementation of the new two stream Notre Dame Catholic Primary School in Cloverdale, Western Australia. 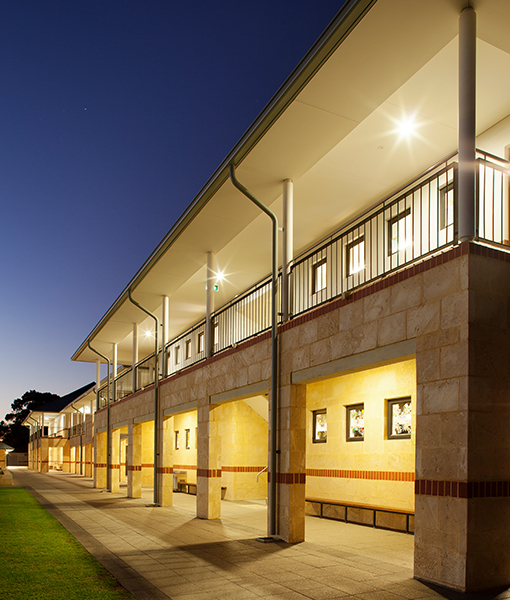 The key design driver was to provide a safe and secure educational environment for students with appropriately scaled buildings in a cluster pattern development. 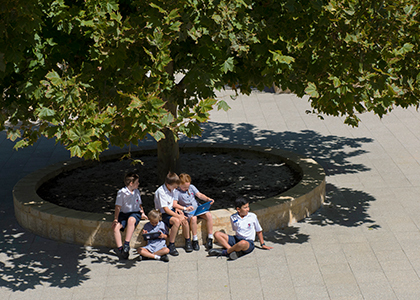 Integrated hard and soft landscaping to outdoor play areas are provided, which are shaded by large trees planted within the courtyards. 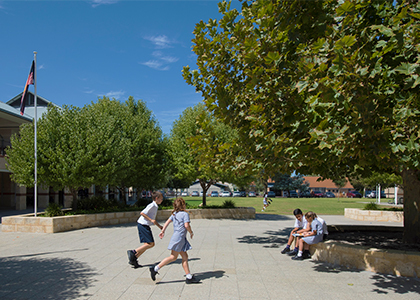 A critical factor in the planning and design of the new school was the amalgamation of two existing schools on this site, which was occupied.